The wonder and mystery of these well-known and well-loved stories from Hans Christian Anderson here are brought to life with the charming illustrations from Anastasiya Archipova. The stories chosen for this collection are also some of my personal favourites from my own childhood, stories that children carry in their hearts for life. 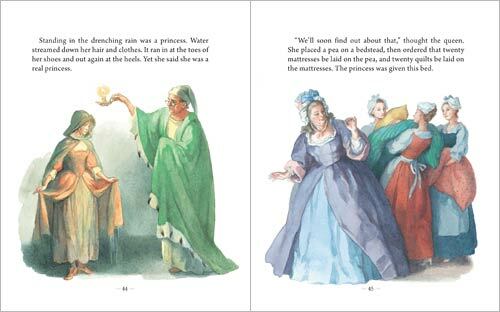 Foolish emperors, lonely mermaids, icy queens and clever princesses are all found in this lavishly illustrated gift edition, ready to delight children and adults alike. The magic and wonder are beautifully bound in a hardcover edition designed for little hands. A perfect companion to matching , A Favourite Collection of Grimm’s Fairy Tales. A beautiful edition for any bookshelf, especially with companion volume, A Favourite Collection of Grimm’s Fairy Tales. 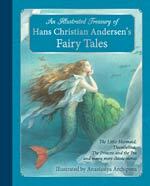 Hans Christian Andersen (1805-1875) was a Danish author who wrote many fairy tales. His best known tales include The Little Mermaid, The Snow Queen and The Emperor’s New Clothes.